IFAC Handa Australian Singing Competition evolved from the Marianne Mathy Scholarship, established through a bequest made by Marianne Mathy-Frisdane, a distinguished teacher of opera and classical singing. The Competition is now well into its third decade discovering, rewarding and providing career opportunities to emerging Australian and New Zealand opera and classical singers under the age of twenty-six. The Marianne Mathy Scholarship, ‘The Mathy’, is regarded as one of Australasia’s most prestigious awards for young opera and classical singers. ‘The Mathy’ remains the premier award of the IFAC Handa Australian Singing Competition – and the journey so many have taken in pursuit of this Scholarship has enriched the lives of entrants and participants alike. In over three decades almost 2,600 contestants have competed for ‘The Mathy’ prize pool, with almost $3 million in cash awards and grants as well as invaluable career opportunities and professional introductions within the music community. Marianne Mathy-Frisdane was a distinguished teacher of opera and classical singing. Born in Mannheim, Germany, Mathy migrated to Australia at the outbreak of WWII. During the next four decades, Marianne Mathy taught both privately and at the NSW State Conservatorium of Music. She taught 15 winners of the influential Sydney Sun Aria, and many of her students went on to become highly respected singers both in Australia and overseas. Arriving in Sydney by ship from Europe in October 1939, the talented German soprano quickly found supporters and opportunities for professional engagement, including a concert tour for the ABC. However, with the war in full flight, the Australian Government ruled that no German was to be sung or spoken in public performance or broadcast media. As Mathy’s English was by no means fluent, she was unable to carry on with public performances; she turned to teaching. Mathy taught for three years at the National Institute for Dramatic Art, and for almost 13 years at the NSW State (Sydney) Conservatorium of Music. She also participated in the inaugural meeting of the New South Wales National Opera (the parent of Opera Australia) and for decades was an active participant in the ongoing development of opera and classical singing in Sydney and Australia. Marianne Mathy died in Sydney in October 1978 leaving a bequest from which the Marianne Mathy Scholarship was established. In 1981 lawyer Roland Gridiger, Trustee of the Mathy Estate, approached the Music Board of the Australia Council for advice and assistance in regard to creating a competition and a scholarship honouring Mme Mathy. Two committees were formed: a General Advisory Committee to administer a competition for a scholarship and a Music Advisory Committee to determine rules and adjudication criteria. The General Advisory Committee members included Sir Herman Black; the Music Advisory Committee included Dame Joan Sutherland. All Committee members donated and continue to donate their time and skills. A framework for regulating the Marianne Mathy Scholarship was approved by the Equity Division of the Supreme Court of New South Wales on 26 February 1982, with the first competition being held and a scholarship awarded in June of that same year. The original bequest of Marianne Mathy-Frisdane did not specify that a scholarship be awarded to a particular vocal type or genre (opera, classical, rock, pop, jazz, folk, country, etc). 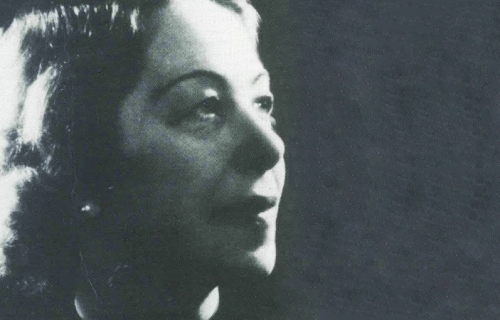 The inaugural 1982 Marianne Mathy Scholarship Competition saw entrants from a range of vocal types and musical genres. As Mme Mathy-Frisdane was herself an opera singer and teacher, it seemed appropriate that her namesake Scholarship be awarded to young opera and classical singers. At the same time, it was clear there was a popular demand for a competition in more contemporary styles of singing. In 1983 the Music & Opera Singers Trust (MOST®), which administers the Mathy Estate, made the decision to promote the Marianne Mathy Scholarship as a competition for young opera and classical singers, and to establish a separate Contemporary Section for singers of other singing genres. Both sections were to come under the umbrella of the ‘Australian Singing Competition’. 'The Mathy' statuette has become synonymous with the Marianne Mathy Scholarship, the featured award within the IFAC Handa Australian Singing Competition. The 195mm hand cast, solid bronze statuette was first presented to soprano Rachelle Durkin, winner of the Marianne Mathy Scholarship in 2000. In late 2012, a new set of 'Mathys' were hand cast at the Sydney foundry, ready to be awarded to the next decade of Marianne Mathy Scholarship winners. Marianne Mathy once wrote: "A capable teacher of singing is just as rare as a gifted student." As a young singer in Berlin her own voice had very nearly been ruined by a teacher who, although well-meaning, applied an instruction style totally unsuited to Mathy's natural vocal direction. But perhaps the most priceless ingredient in Marianne Mathy's selfless contribution to the artists of tomorrow was the final, all important instruction before they walked out from the wings onto the concert platform: "Give your best and after be proud! It is enough. It is everything." All winners of the Marianne Mathy Scholarship are presented with a copy of her book The Singer’s Companion.